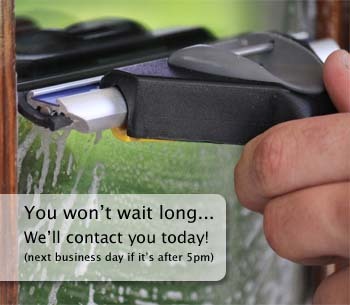 With our commercial window cleaning service we can prevent permanent damage your business or office glass. If treated, Hard Water Removal can be very inexpensive and can add a great boost to your buildings curb appeal and estimated value from a customer or employee perspective. Looking out clean windows that used to have major hard water stains is like getting a new office! Don't take our word for it, let us come by and demo our products for you. Removing Hard minerals from a commercial building can seem like a chore to most people. 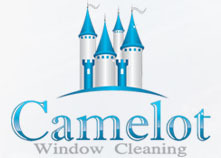 It is not uncommon to hear of outrageous window cleaning services prices in this area of our field. This is not the case for professionals. Our team is also skilled at mineral removal from glass and polishing treatment. 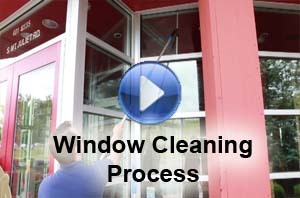 This makes it easy and convenient for us to service even the toughest commercial glass stains. The secret is all in the chemicals and solutions that are used for various types of commercial grade glass. Also the mineral build up in city water is different for certain parts of the country. A large part of our service is educating our commercial customers on why the buildup occurred in the first place. This is a free service we gladly offer to our commercial clients with any service. If the stains can be prevented from building up in the future, then subsequent treatments can be prevented. 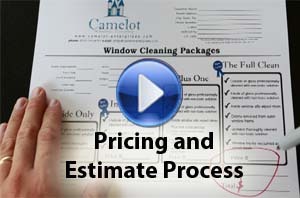 This alone can and does save you hundreds of dollars over the years. Stopping mineral staining build up in the first place is key in preventing long term damage to your glass. If you have a good lawn guy, or maintenance man asking him or her to turn down the sprinklers on the outside of your building is the first step. If this is not a fitting solution for your water problems, then you may need one of the service professionals to adjust the water pressure on each hose line running to the sprinkler heads. This is a good long term solution to over-spraying sprinklers. Often times commercial companies will leave the pressure at the highest setting and install fewer sprinkler heads. This can be remedied by installing the proper amount of sprinklers and adjusting the lines to prevent mineral stain build up on your windows. Because buildup removal is more expensive than our normal package we offer a satisfaction guarantee. This service does not work on all commercial window panes, so for us to charge you for something that doesn't work just wouldn't be right. So we just won't do that!! We will give you a price upfront, and expect great results from our products and solutions because they do work about 85% of the time. The other 15% we unfortunately just have to inform you that your glass is damaged beyond repair. That is a horrible feeling, but this is the reason why we stress the importance of having proper sprinkler settings and automatic hose placement that is thought through so as to prevent hearing "we're sorry ma'am your sprinklers ruined them all". We don't like to tell anyone that bad news, so if you have this problem, get a professional out to your store today and let us fix it now...while we still can.